With my 1994 Kawasaki Concours getting long in the tooth, felt it necessary to replace it before my trusty Connie started giving me trouble. Placed it on Craig’s list and started my replacement trolling. Wanting something sportier on the Sport Touring spectrum. Have never owned a true Sport Bike, I wanted to lean more towards a Standard to Larger displacement Sport Bike that can be adjusted with risers and side/top cases. Researched the Suzuki Bandit 1200, Honda Blackbird (Oooo), Ducati Monster 900, Katana 1100 and a few others. Started to read about alternative Sport tourers and Honda was the direction I wanted to navigate towards. 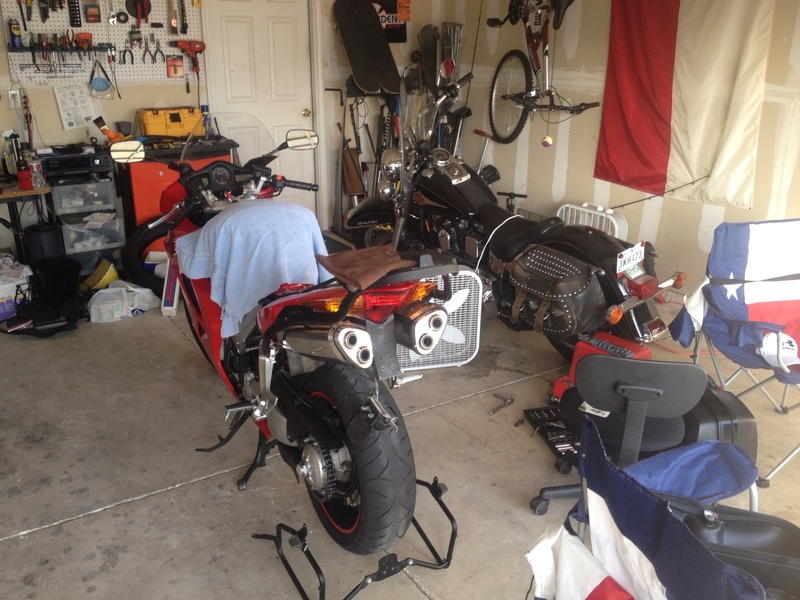 The Honda Blackbird and Honda VFR caught my attention. Already having a Harley V-Twin in the garage, I was skeptical about the lack of fun factor of another V-Twin (Harley Softail in the stable) and I didn’t really want to get a heavy super bike. My eyes focused on the VFR. On my last trip to West Texas, I downloaded a couple motorcycle flicks on my iPad – Faster and Fastest. Learned about the heritage of the V4 and MotoGP. And since I already own another vehicle with an unusual power plant (Rotary) lets research more on this muscle machine. Started my lurking on Craigslist and Blackbird/VFR owner forums. Found the same cult-ish following as I became accustomed to on other bike forums. I realized that I wasn’t looking for a Superbike but a nimble tourer. 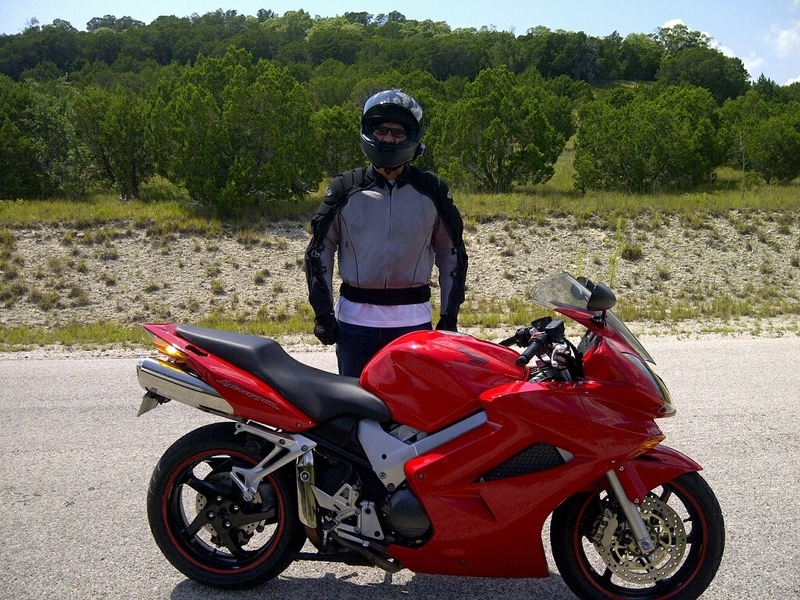 My pocket book allowed me to source a low mileage 2002 Honda VFR800 VTEC. Yes I’m talking about a motorcycle not your Fast & Furious boy racer. Found her north of Marble Falls, TX. Belonged to a firefighter that commuted to Austin on these great hill country roads. I started to source luggage as soon as I got her back to my garage. 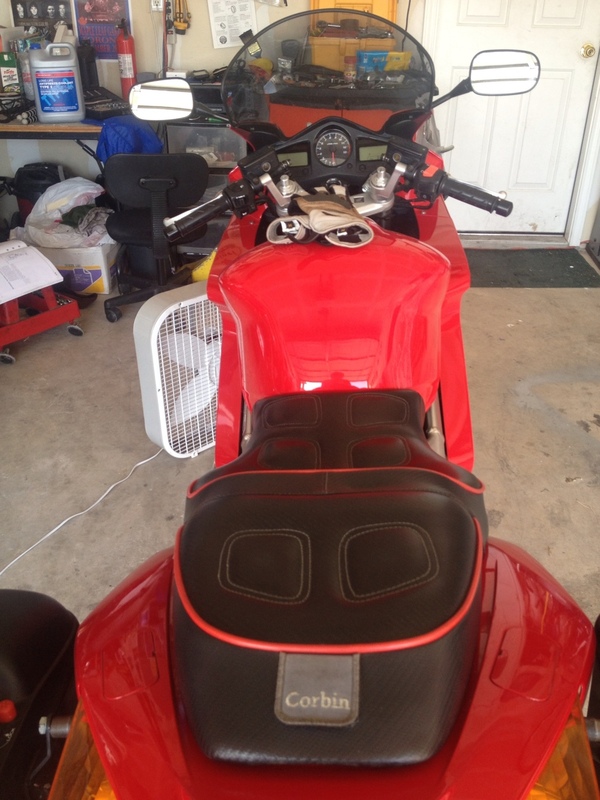 Was able to find a Givi mono lock top and side cases (brackets included) from a fellow VFR owner. My buddy Nelson informed me that the cases are interchangeable (placing the larger 45 liter top case on the side). All I need to do is find another pair. The side cases are Givi’s 21 liter lane splitting cases. Ok for work week commuting but anything extended, larger cases are a must. Just to show you the difference between the 21 liter and 45 liter cases. I also found a great deal on a Corbin seat and the tallest windscreen (Givi) I could find. 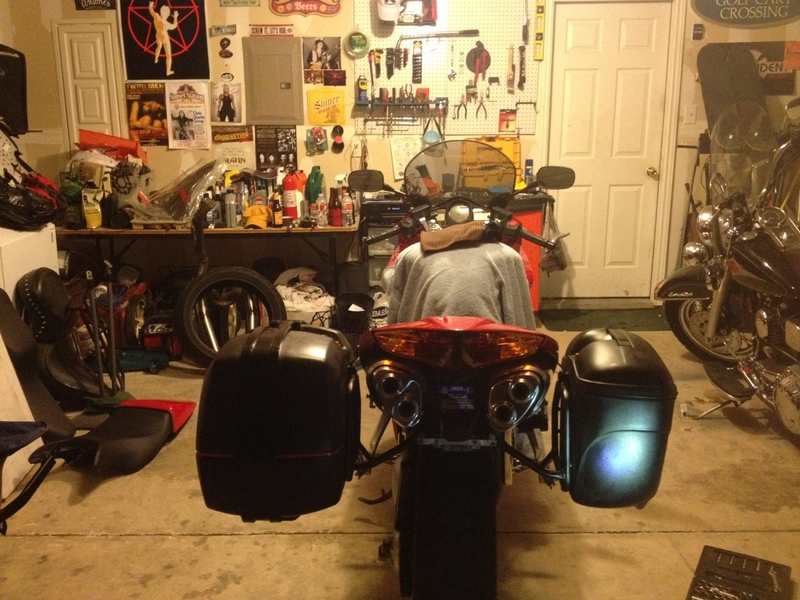 This entry was posted in Motorcycles and tagged Givi, Sport Touring, VFR. Bookmark the permalink.